Manga Candy - Japansk slik - Ramune: Melon Flavor. 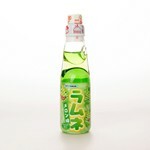 Ramune Melon boasts a refreshing fruity flavor. 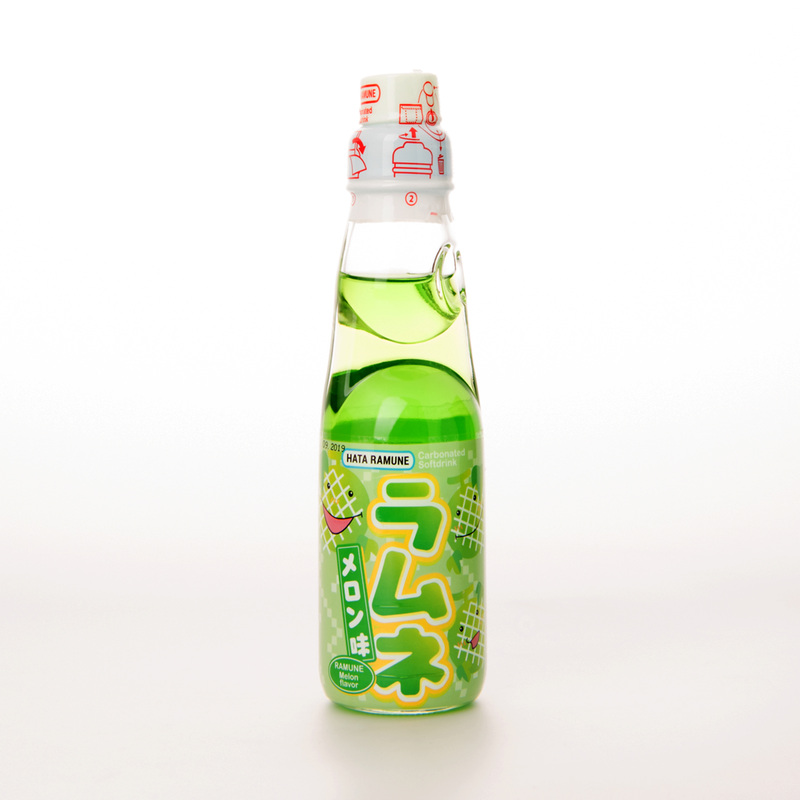 This popular Japanese soda comes in a fun bottle with a marble stopper at the top. Having trouble opening your Ramune Soda? Remove the white plastic wrapper from around the top of the bottle. DO NOT THROW AWAY THE GREEN PLASTIC CIRCLE! Or else you will have a very hard time opening the bottle. Punch out the plastic plunger from the perforated ring it's attached to, place it in the hole in the thick plastic mouthpiece, and use it to push the marble down into the bottle with gentle yet firm pressure. As soon as you hear the pop sound of the soda opening, remove your hand quickly. If you’re not used to opening Ramune, make sure you've got a towel handy because your Ramune may fuzz out of the bottle. Drink chilled and enjoy!